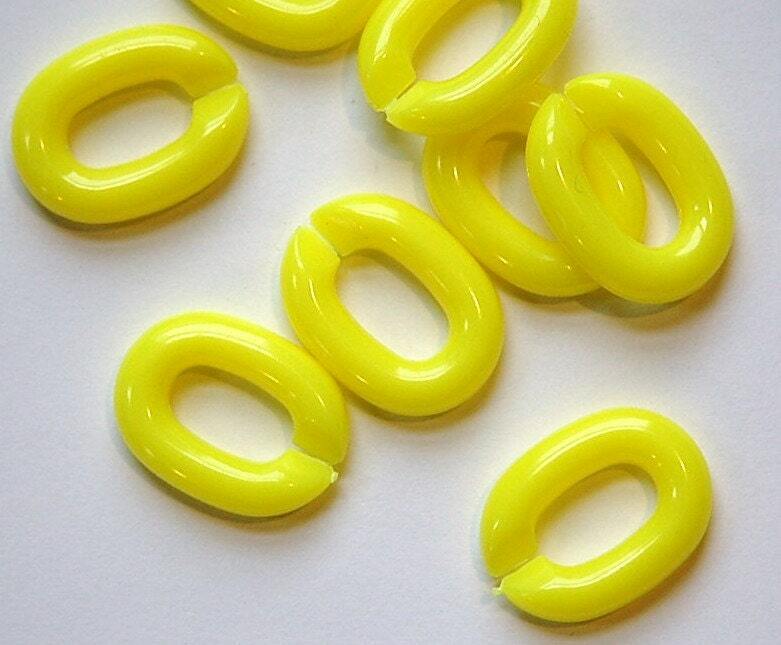 These are vintage hard plastic links. They can be joined to make chains. Each link measures 15/16" long. You will receive 25 pieces. When put together 25 pieces makes a 13" chain. We have these in other colors and a mix. Search bds605 in the shop search to see them all. There is also a smaller size available. Search bds606 in the shop search. I will be back, great price and great product! !